Today I must admit I had a meltdown at the gym. I was exercising on 4 hours of sleep and for some reason the weight of 2 years of efforts felt heavy on my shoulders. All of the trials of the last year hit me and I started to cry. We were actually just talking about a Christmas party tonight and trying to figure out food strategy when it all hit me- all the difficulties, all the pain, all the moments of denial. If I’m honest with myself I am not physically where I thought I’d be at the end of 2 years of training. My body takes it’s sweet-sweet time changing; however, I have done all I can do. As I was tearing up a question came into my mind- Does the Journey Seem Long? Yes, it does! It’s a great journey but sometimes it does seem long. Driving home I realized this question is the beginning to a hymn I love. I started to sing it and felt immediate comfort. I think it was one of those tender mercies from the Lord. The fact that I would think of that song at that moment is one more example that Jesus Christ loves me intimately and He wants to help me with my journey. I’m so grateful for that. It’s beyond words. Thank you also to my trainer Michele who has been there to strengthen me physically, spiritually and emotionally. She knows when to get a box of tissues and when to give a hug. I’m so blessed by the tender mercies of the Lord. 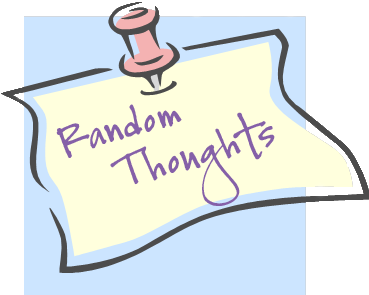 This is one of my random jumbled posts. 1. Got home yesterday. Long day at the airport (funny that when I’m volunteering my seat up the wait isn’t so bad because I get a free ticket but if I’m delayed its torture!). Fun trip visiting the fam and my parents. I particularly enjoyed spending 2 nights with my sister and her family. I find I get more out of one-on-one interactions rather than chaotic groups. Its hard to go from being the sole ruler of my roost to being surrounded by people. Does it seem selfish to say that? Oh well, its true. 2. Thanks to my Dad who gave up his bed and slept on the floor so I would have a place to sleep for 2 of the nights home. Thanks Dad! I had a great time at the Turkey Trot and totally want to do it next year but it was very exacting on my body. I had serious pain for 3 days. It hurt to sit up, move, walk, do anything. Having sleep on a comfortable bed was essential to my muscle recovery. 3. I am not good at hiding my emotions. Never have been. If I’m hungry, tired, upset, frustrated, or in pain most people know. I try to keep it inside and ‘be a trooper’ but I can never seem to pull it off. Thank goodness I have understanding family and friends. I suppose this is one benefit of living alone. I can moan and groan all I want to myself! 4. I must express my doubts about the sugar fast. It doesn’t seem to be changing my cravings. I still crave sweets bad and when I eat them they taste just as great as they did before…I don’t know how much longer I can keep this up! If I’m honest I really kind of hate it. I hate dieting in general because I feel it excludes me from a full life experience. Still, I suppose it is a necessary evil. 5. Good news on the Poler front! We had a very successful Black Friday sales weekend and are looking forward to a great Christmas season. There are still bugs to work out but congrats to my the Poler team for a great start! Particular shout out to my brother who has worked so hard on this new company. 6. I am setting up my tree tomorrow! Can’t wait. Its a tight squeeze with my new sofa but I will make it work. 7. 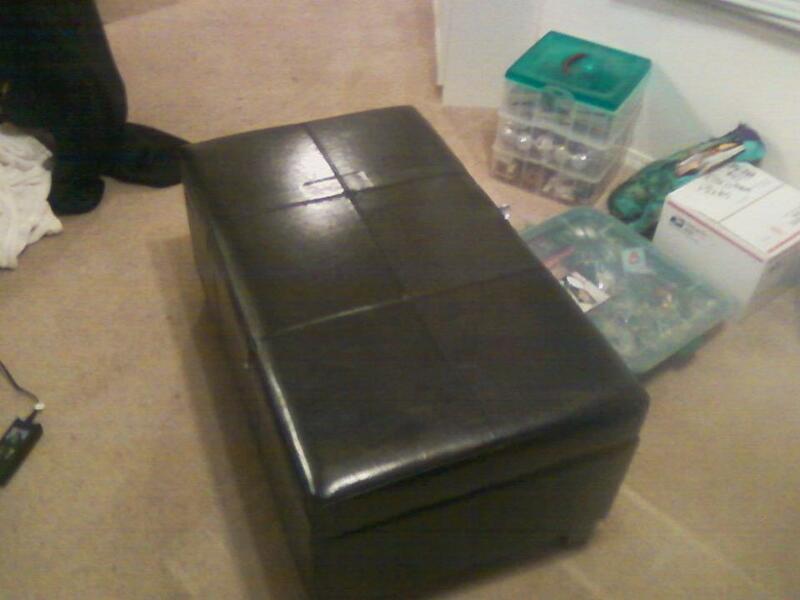 Speaking of new furniture I made one black friday purchase- a new ottoman for my main room. Now I have one for each sofa. Isn’t it pretty and only $73! Thank you Walmart! (Yes, I am a Walmart shopper. In fact, I think they get a bum rap. They have reasonable insurance for their employees, livable wages and their products are in general good quality. I’ve actually been more impressed with their furniture/decor items than Ikea or Target and really are either of those 2 companies any less of a corporate giant?). 8. It has actually happened, my friends, I don’t have to convince myself to exercise anymore! For literally years it was a chore to get my but out the door. This week I realized I actually want to go and feel remorse when I can’t go. This is particularly true for swimming (which I haven’t done for over a week 😦 ). I really miss it when I can’t do it. I was going to swim on Thursday with my friends but then there ended up being work commitments and I can’t go. The person asked “Do you have to go swim?”. Its honestly like asking if I need to eat lunch. Well, technically I could survive without it but I will miss it! 9. I decided during this trip that I am going to start walking/running once a week from now on. With how difficult my recovery was from the 5k I need to work out those walking muscles more often. Walking is such an easy thing to do while traveling and swimming is very difficult (at least in the winter). Anyone want to be my weekly walking buddy? 10. My friends are going to swim the Great Salt Lake through the Winter. They have a group called the Wasatch Front Polar Bear Club. 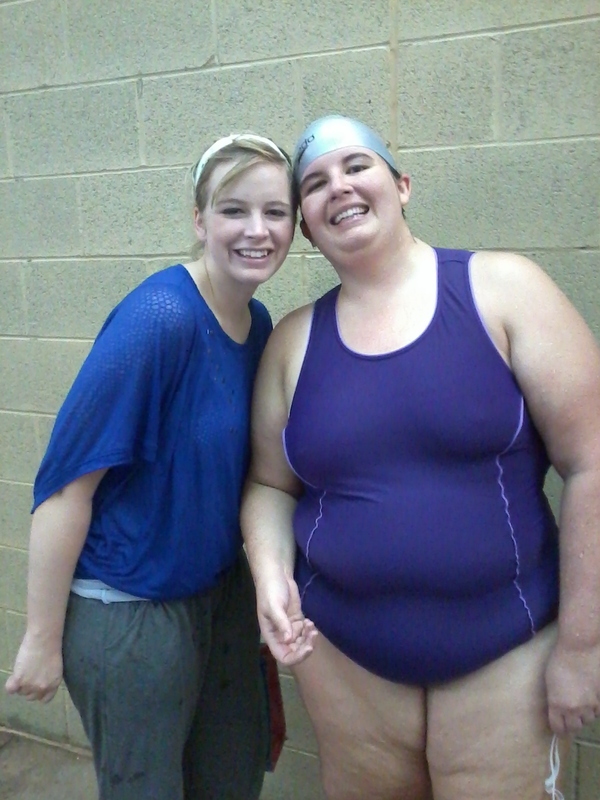 They have already swam in 46 degree water! I think it would be a fun adventure to join with them but my fibromyalgia would be super painful. Its just not worth it for the rush. 11. Don’t get me wrong I’m grateful but having 4 mini-jobs can be stressful. I feel a little stretched each and every way. Especially coming home from a trip is always rough. I worked a lot this trip but it never seems to be quite enough. At least I don’t have to push myself like some of the other people in my company. I used to think I wanted to be an ambitious business leader but I really am glad to be free from the stress and pressure. I am happy with my little roles and the difference I make. I will be grateful when the routine of Poler is set in stone and when other pending issues are finalized. (I have my employee review next Monday. Here’s to hoping I do well and maybe even get a raise! Haven’t had one in 2 years). Do you think because I’m not the dynamic business woman or politician I dreamed of as a child I’m a bit of a sell-out? Are we not all sell-outs in one way or another as adults…? 12. Lately I’ve been fascinated with the Revolutionary generation. Last year I read a book called Founding Mothers by Cokie Roberts and loved it. Now we are rereading that for my book club. I have also been reading Founding Brothers by Joseph Elis and am enjoying that. It goes into great depth into many things I didn’t know much about such as Washington’s Farewell Address, Benjamin Franklin’s support of abolition, the controversy of Jay’s Treaty. It also elaborates on topics I did know about such as the friendship/feud between Adams and Jefferson, Jefferson’s strategy as the first party politician, James Madison’s skillful quiet power, Abigail Adams role in her husbands presidential cabinet and more. It is so interesting. As I’ve read I keep coming up with parallels to the issues facing politicians and the similar strategies used to win elections that still exist today. Its amazing how with all that’s changed some things never change. 13. Don’t mean to end on a somber note but I can’t begin to describe how disgusted I am with what’s gone on at Penn State. I was horrified to see people cheering for anyone even remotely involved in this terrible tragedy. Our thoughts should be on the victims, not on football. I love sports but let’s have a bit of perspective people! 14. Finally I am a little sad because I now have 2 months left in my current ward. In January I turn the big 31 and that means I am out of the single adult ward. I can either go to the midsingles or the family ward. Haven’t decided what I will do. Any experiences either way? I’d love to hear them. Our midsingles ward has over 600 people so honestly I’m afraid of getting lost with either choice. I guess I will just have to be extra vigilant in making friends and being outgoing. (Maybe my new ottoman will help with that!). I’m sincerely sorry to be leaving my ward and particularly my calling. It has been a wonderful sanctuary from a year that has been one of the toughest of my life. I will always be grateful for home and visiting teachers, RS President and bishop who took care of me when I really needed it. Thanks! 15. I wish I could be in Hawaii right now…but that’s pretty much true of every day of my life! 16. Saw 2 movies over the break, Hugo and Muppets Movie. Enjoyed both. Hugo was a work of art in movie form; however, a little slow and I don’t know if I ever bonded to any of the characters. Movies are played as an unmitigated good in the plot and while I enjoy a good movie I don’t know if they are as important as Hugo would have you believe. Still, well worth a viewing. See it in 3D if you can. One of the best uses of 3D I’ve ever seen. It didn’t have the murkiness of most 3D. The Muppets movie was GREAT!! I loved it. I thought it was funny, I loved the music, and the whole thing made me smile throughout. While I think children will enjoy it I think it is designed for young adults my age. There were tons of references to the Muppets I knew growing up and I found them all charming. I just really loved it. 17. No I did not see Breaking Dawn. 19. Finally, I went speed dating a couple of weeks ago and actually had a good time. However, I definitely realized that my fear of animals is totally not normal! Btw, if that thing in Ohio with the exotic animals had happened by me I think I’d have a heart attack. There are 911 calls of people saying ‘I’m on the freeway and just saw a lion’. Can you imagine? 21. One last thing- a couple of weeks ago I gave my phone number out to a boy for the first time in my life. It felt totally cliched but I was proud of myself. He never called but hey its a step in the right direction! Probably sad that it took me to age 30 to do that. Oh well! Happy Thanksgiving! In years past I have posted a blog of things I am thankful for. This year I have been updating facebook and twitter with things I am grateful for all month so I don’t feel a need to do a post like that this year. Let me just do a quick update. We just finished a delicious Thanksgiving meal (we always eat in 2 phases meal and a couple of hours later pie!). Now we are sitting together chatting and sharing memories. It was a wonderful Thanksgiving dinner. I was in charge of the mashed potatoes- a food I have not eaten in months and yes it is just as delicious as I remembered! If anything absence has made the heart grow fonder! I got a little over-zealous in the mashed potato making and you should have seen the giant bowl of leftovers (thank goodness I get 2 days off my diet, so I can eat some tomorrow! Yum!). I was also in charge of the pumpkin and lemon meringue pies. I purchased the pumpkin pie but the lemon meringue was from scratch and a lot of work (it has so many steps, zest and squeeze lemons, make crust, lemon curd and meringue. ). It was exhausting but a lot of fun. Lemon meringue is my favorite pie and what I’ve had for my birthday for years and years. I like it with lots of lemon juice- very tart! After being on a sweet fast for the month it was great to have lots of pie. I know my trainer was hoping it wouldn’t taste good anymore. Sadly that is not the case! It’s still delicious but it is nice to know the pie was earned. This morning started off with a bang. 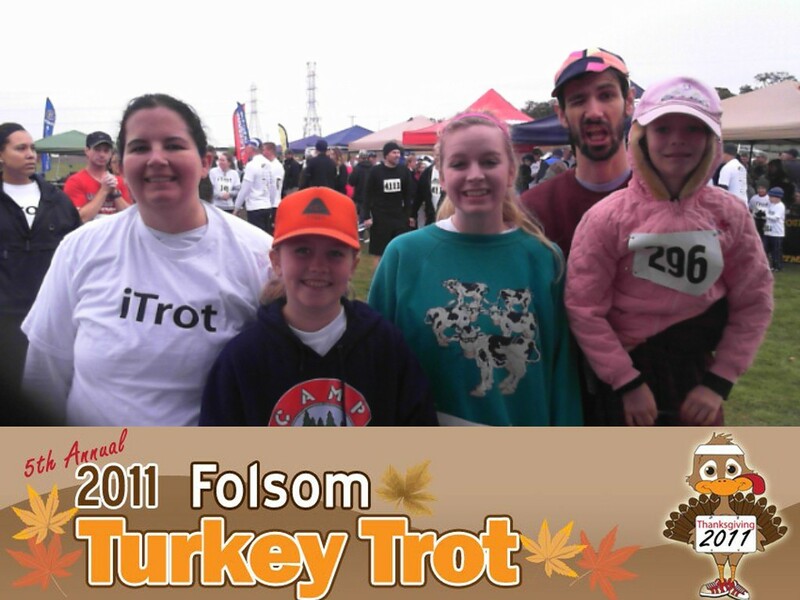 Trying to justify a day of bingeing I organized a group of us to go to the Folsom Turkey Trot. This was a 5k run/walk (I speed-walked it. 5k in 1 hour 27 seconds which I thought was pretty good). The proceeds from the race go to the local food bank and despite some rain it was a fun activity. It always warms my heart to think of all the volunteers and work that went into making a community event like the turkey trot happen. I am very grateful for all who sacrifice to make our communities better. It makes me want to do more to contribute. It is also nice during this day of feasting to do something that helps those in need. Especially during the holidays those that do not have enough food to eat or money to buy presents feel it acutely. I loved participating in the race and I hope it becomes a tradition at our Thanksgiving celebrations. Needless to say after a day with a 5k and then cooking all day I am tuckered out! My feet hurt and I feel like I could fall asleep now. Nevertheless my fatigue has not diminished my enjoyment of the day and my realization of the many blessings I have in my life. I am so grateful for all my friends and family and their support. I am thankful for good health and a body that keeps allowing me to push it day in and day out. I’m grateful for the great and difficult experiences of the past year. My story feels different than ever before. I was a good person before starting my fitness quest but I am more vibrant, layered person now. I love that! I hope you all had a Happy Thanksgiving with family and friends. Love you! ps. 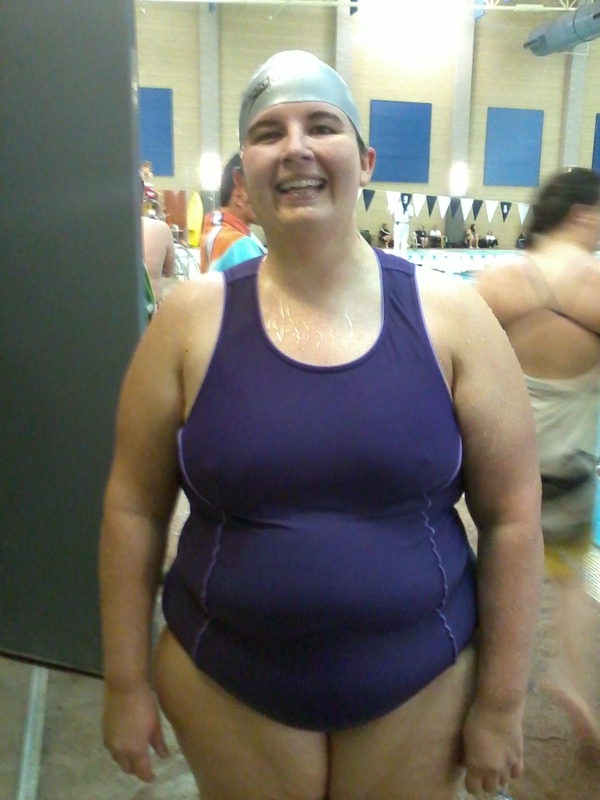 I am doing a Christmas Swimfest on Dec 17th at 9:30 am at Gene Fullmer Pool. We will have Christmas swim caps and some games (I am renting 2 lanes) and then we will go to Golden Corral for breakfast buffet. It should be a nice chance to engage with one another and have fun. If anyone would like to come let me know so that I get enough caps. I think part of the reason I love Christmas movies is that I spend many holiday nights alone, which is fine with me but the holidays can feel a little lonely sometimes. It can be a little bit sad to not have a special person/children to buy presents for or start new traditions. As I’ve mentioned on this blog before I also LOVE any retelling of the Christmas Carol. From Mickey, to the Muppetts, to George C. Scott, I have never met a Christmas Carol that I didn’t love. I find the story of redemption and hope through Christ (in the form of Christmas) so moving. I even liked the most recent animated version with a very subdued Jim Carey (I had my doubts going into it but its great!). 1. 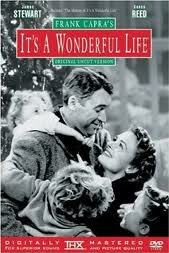 Its a Wonderful Life- So moving. The classic of the desperate George Bailey who hates his job, is tired of his family and has just lost a great deal of money. As a youth he dreamed of doing something great and exciting but ended up saddled at his father’s business while his younger brother went off to see the world. I think this movie is so widely viewed because George’s situation is universally relatable. 4. White Christmas- I know the plot is contrived and ridiculous but who watches a movie like this for the plot? Its all about the wonderful Irving Berlin music from talents like Bing Crosby and Rosemary Clooney and the amazing, over the top dance numbers from Danny Kaye and Vera Ellen. 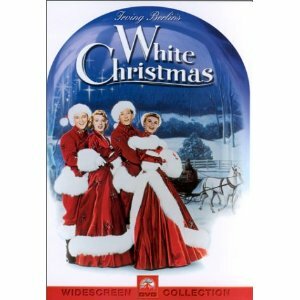 So many classic songs like Count Your Blessings, Sisters, Best Things Happen While Your Dancing, and of course the title number White Christmas. So great! 5. 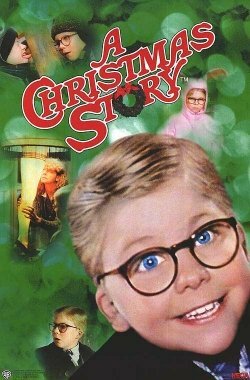 Christmas Story- Some people in my family don’t like this movie but I think it is very funny. I like the sarcastic tone of the narrator as little Ralphie schemes for his Red Ryder air rifle. With all the laughs there are also moments of subtlety and tenderness particularly in the scenes between mother and son after Ralphie’s big fight with the bully. 6. 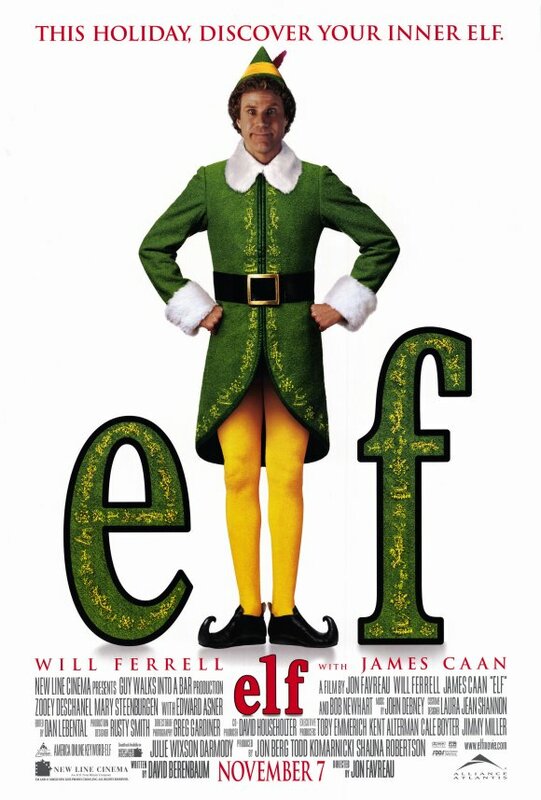 Elf- A movie that should have been terrible but actually works. Enjoying this movie entirely depends on whether you think Will Farrell is funny. I happen to, so I love this movie. Zooey Deschanel is wonderful as the love interest and James Caan hilarious as Buddy’s workaholic father. Elf wrings out every possible joke it can and about 85% made me laugh so I’d say that’s a winner. 7. Dr. Seuss How the Grinch Stole Christmas (1966). 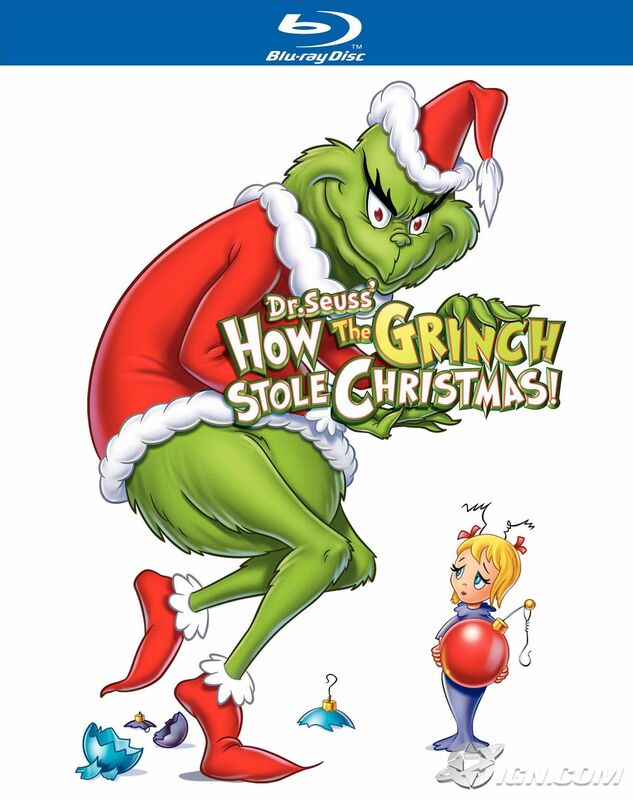 One of the few Christmas movies I don’t like is the live action version of this wonderful animated short, based on Dr. Seuss’s Christmas story of a monster Grinch who decides to ruin Christmas by stealing all the presents. Every attempt they have made of updating Seuss just doesn’t work. First of all, his books are short and do not stretch to a 2 hour running time. Secondly, what is charming in drawing form looks bizarre and twisted in human form. For example, the Who’s in the book/animated short are cute and cuddly; where in the live action they look like strange deformed pigs. Anyway, the classic music from Boris Karloff makes this short truly memorable. 9. 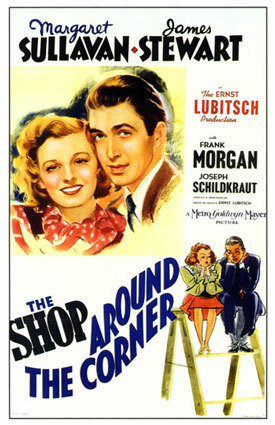 The Shop Around the Corner- While not technically a Christmas movie, it is set during the holidays and selecting gifts proves a critical plot point. The story is that Jimmy Stewart and Margaret Sullivan hate working together but are secretly cherished pen pals to each other. You’ve Got Mail was adapted from this movie and I love both versions. However, The Shop Around the Corner goes a bit darker at points than You’ve Got Mail. The incidents involving Stewart’s boss and a suspected affair are moving and balance out the witty, more frothy parts. These movies explore the idea of work and what value we get from our work and working relationships. I love movies about work. 10. So many I could pick for the last spot Polar Express, Scrooged, Meet Me in St. Louis, Love Actually, Little Women, Nightmare Before Christmas, Home Alone, Christmas in Connecticut, Christmas Vacation and even the trite but fun The Holiday (and don’t forget those stop motion shorts- especially the one about the island of misfit toys). 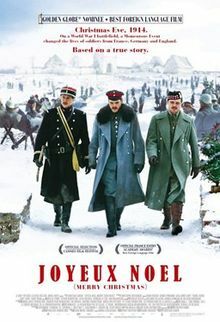 All good picks but I will chose a lesser known films, Joyeux Noel. This beautiful movie tells the story of a ‘Christmas truce’ between the Scot/French troops and their German enemies in WWI. This begins as a German opera singer starts singing Silent Night for his troops and others join in. Eventually the soldiers meet and agree to a Christmas cease fire zone where good wishes and Christmas treats are shared between opposing sides. It may sound cloying but its not. Its beautiful and tender and does not necessarily have a happy ending. However, to be catapulted back into the realities of war does not disturb the power of one moment of peace. Very good film that originally had an R rating (crazy!) but it was changed to a PG-13. So that’s my list. I hope you all have as much fun watching holiday movies as I will. In fact, if you are in town join me for a viewing! 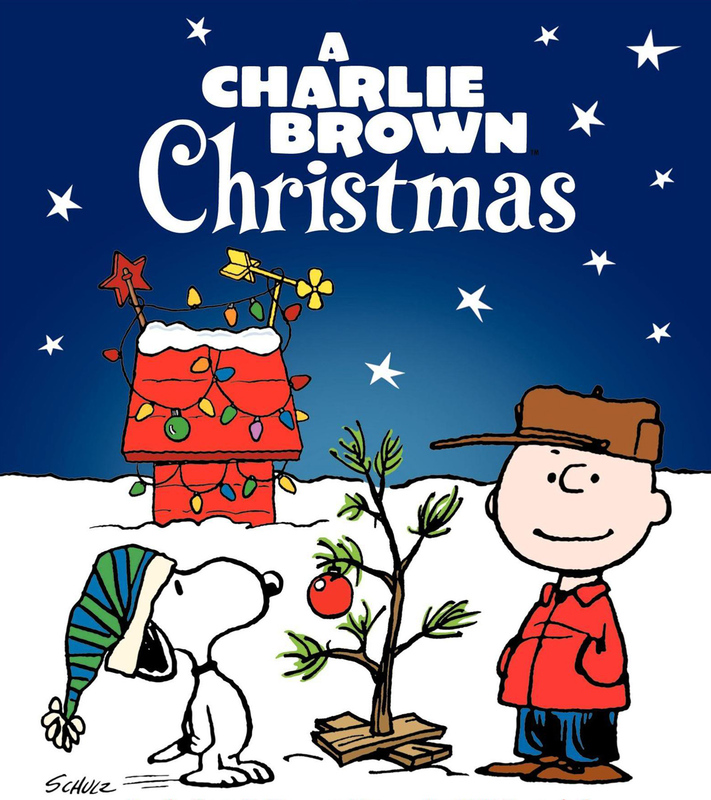 I can’t promise the treats will be good but we can enjoy some wonderful, faith-filled, Christmas films. Excuse just a little bit more venting. My trainer and I were talking today and she told me about this trainer that she knows who was spouting off about how we should ‘look at food as a survival tool, nothing more.” We both agreed that this is the stupidest thing We’ve ever heard. 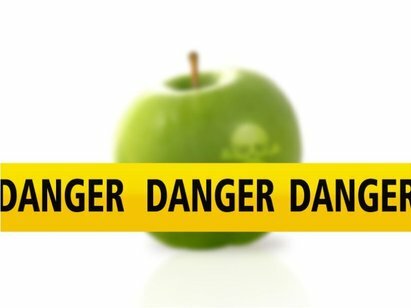 It may be true that food should be less important, more neutral in our lives and that emotions attached to food can often be dangerous; however, to pretend that food should have no impact on our lives is just denying reality. It is impossible to talk about any culture without discussing food. Most historical events are tangled up with food. I can’t think of a single tradition that does not involve food or food traditions. When was the last time you saw someone blowing out a pile of rocks? No, its cake people! Every culture that I am aware has food involved in the celebration of weddings, birthdays, Christmas, harvest etc. To pretend that this connection is unnecessary is stupid and naive. Some may argue that we put too much of an emphasis on food, or that we don’t appreciate it enough because of our lack of farm to table produce. To these people I would heartedly agree. We use food as a reward too frequently and we could tone down the number and boost the quality of the food celebrations we participate in, but to pretend like this is not a part of human nature is ridiculous. The thing that gets my goat about is any trainer or health professional who is preaching this type of lifestyle to his or her patrons. They are setting them up for failure. Its like the people who push the green drink (or any other radical change diet). Yes, you will lose weight, yes it may even be healthy but it does not work with the culture we live in. It does not accept reality, work with it, and create a real solution. I am so glad my trainer gets it. You may ask- what about my sugar fast? Is this not denying reality? There is some truth to that, and I have struggled with such a drastic lifestyle change (and not been perfect I might add); however, it is not a permanent fix. We are attempting to change my habits and cravings so that when I immerse myself completely in my world I can make better choices. I am also just trying to get through the holidays with as few cheats as possible. I have no delusions that this is a better way to live or that I would even want to keep it up for an extended period of time. If someone was planning on doing a sugar fast long term I would strongly discourage them. We have an entire organ in our body basically designed to taste food- all types of food. That’s why we have sweet, salty, bitter taste buds and we should engage all of them. Food is part of the human experience and as healthy individuals we simply have to learn to control the times we do engage and keep a healthy overall lifestyle. Its like people that argue we should only live with the bare essentials. If that was the case I suppose we don’t need music, art, theater, or literature to survive. The difference between humans and animals is that we don’t just survive, we don’t act on mere instinct, but we engage socially, politically and culturally on a daily basis. Someone like a Mozart or a Julia Child may not be necessarily for human survival but I sure am grateful for them! Ok. So, in conclusion- food is a real part of our lives. To deny this fact is foolish and to teach it is irresponsible. We must learn to work with food and create a dynamic interesting life. 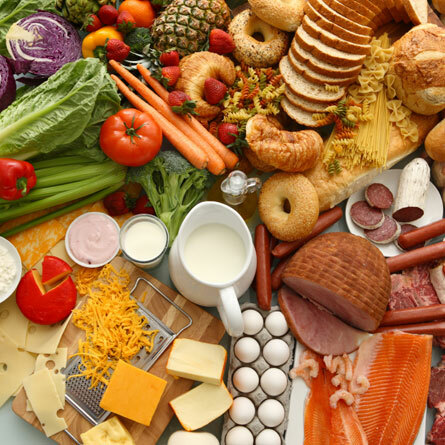 It is difficult to do but with the support of loved one’s, competent trainers, health professionals and friends I am confident each of us can find that balance by enjoying food but not frequently overindulging. There I said it! Done!